Local businesses have aggressive growth plans moving into 2017 that far exceed national norms, according to results of a member survey released during the Mobile Area Chamber’s recent “State of the Economy” luncheon at The Battle House Renaissance Hotel in downtown Mobile. Among the results of the survey, conducted in September: 24 companies plan to acquire or buy out another company; 35 businesses want to enter or expand into new domestic markets; 13 firms will enter or expand into new international markets; 20 companies will expand their physical plants and/or operations in Mobile; 47 firms expect to buy new equipment and/or software; and 41 businesses will pursue a new consumer/business segment. To help the Chamber direct its efforts, members were asked about barriers to growth. Top responses were: attracting and retaining qualified employees; global market conditions; and weak sales. Aerospace: Guy Hicks with Airbus Group Inc. said the 20-year demand for aircraft would exceed 33,070, with 5,807 made in Mobile. Real Estate: Daniel Dennis with Roberts Brothers compared the 2016 residential housing market to what he considers the last normal year in Mobile, 2004. To date 2016 has surpassed 2004 in total sales volume. 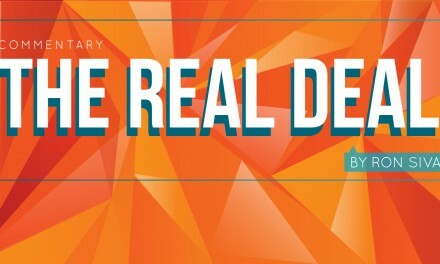 The impact of economic development efforts on real estate shows the largest effect found first in residential rentals, followed by residential sales and industrial, retail and sales occupancy. Shipbuilding: Travis Short with Horizon Shipbuilding said shipbuilders worldwide have cut 20,000 jobs with more downsizing expected. Short’s market advice was adherence to Horizon’s model for survival in a down market: diversification, effective business relationships and innovation. Chemicals: Bonnie Tully with Evonik Industries divulged pent-up demand in the local area for a chemical park. Evonik established one, leading to onsite investments by Bayer and BASF. Currently the facility is only 40 percent developed. Tully credited low natural gas prices for resurgence in manufacturing and credited it for boosting the chemical industry. If prices stay low, she said, it will encourage future onshoring by other manufacturers. Last week The Hargrove Foundation hosted its second annual gala at The Admiral Hotel in downtown Mobile, raising upwards of $30,000 to distribute to a bevy of worthy causes moving into 2017. The keynote speaker for the evening was retired Lt. Gen. L. Honoré, U.S. Army. Honoré is best known for serving as commander of Joint Task Force-Katrina, responsible for coordinating military relief efforts for areas affected by Hurricane Katrina across the Gulf Coast. The Hargrove Foundation is the charitable link of the Hargrove family of companies and is uniquely funded by both internal and external contributions from employees and donors. “Working as one team to support the communities in which we live and work, the foundation is Hargrove’s vehicle for making a true difference in the lives of others,” Vicki Studstill, Hargrove’s vice president of business development, said. The foundation is classified as a 501(c)(3) organization and supports the following four sectors: education, arts and culture, qualified sports activities and health and human services. For more information visit their website. NextWhat was the message of Trump’s election?